All you 90's kids are completely freaking out right now + reminiscing over the title of this post. 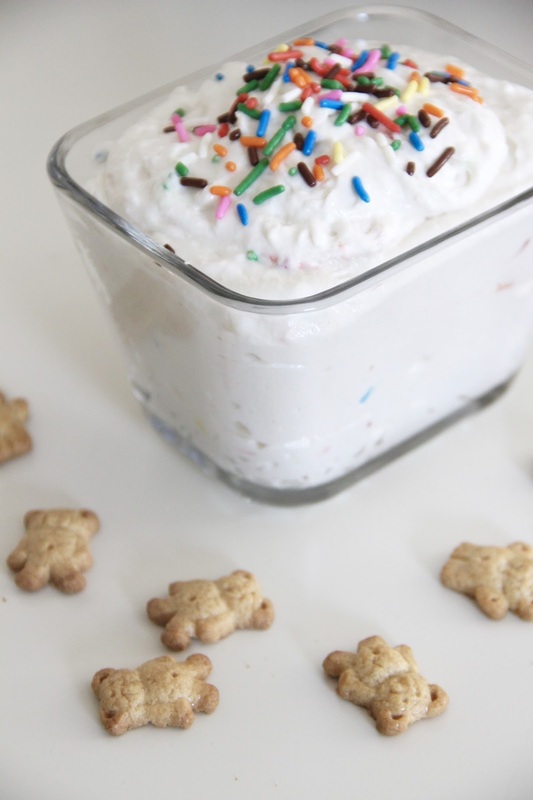 Dunkaroos were one of the best childhood treats, when you could convince your parents to get them from the grocery store. And who didn't throw on their best smile to get those dunkaroos in the shopping cart?? Really, I'm having flashbacks just typing this up. Yesterday I was responsible for bringing House Group snack, and I was struggling to come up with something quick and simple. Then I had myself an epiphany, and decided a mock dunkaroo dip would be perfect. Because who, at whatever age you may be, wouldn't love a new take on an old classic? So I headed straight to my Pinterest app and searched for the dip. It was simple enough to find, and it seemed that all the recipes were similar. I picked the first one and rolled with it, making sure to taste test as I went along. And I'm glad I did because I think if I had followed the recipe verbatim, it wouldn't have had as much taste. Instead of the two cups of cool whip it called for, I only used one. And I think the flavor of the Funfetti cake mix was much stronger than it would have been had I used more cool whip. Mix the cake mix, yogurt, and whip cream in a bowl. Stir until thoroughly combined. 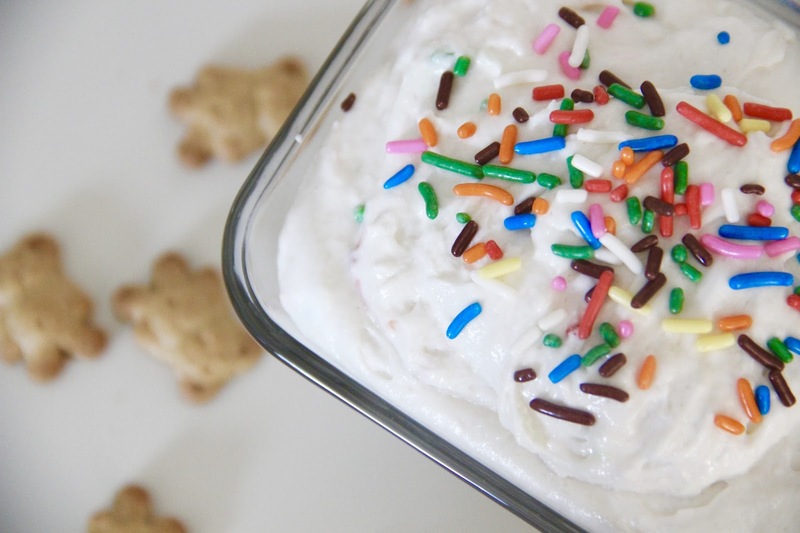 Transfer the dip to a serving bowl and top with sprinkles. OR store in the fridge and stir the dip then top with sprinkles just before serving. 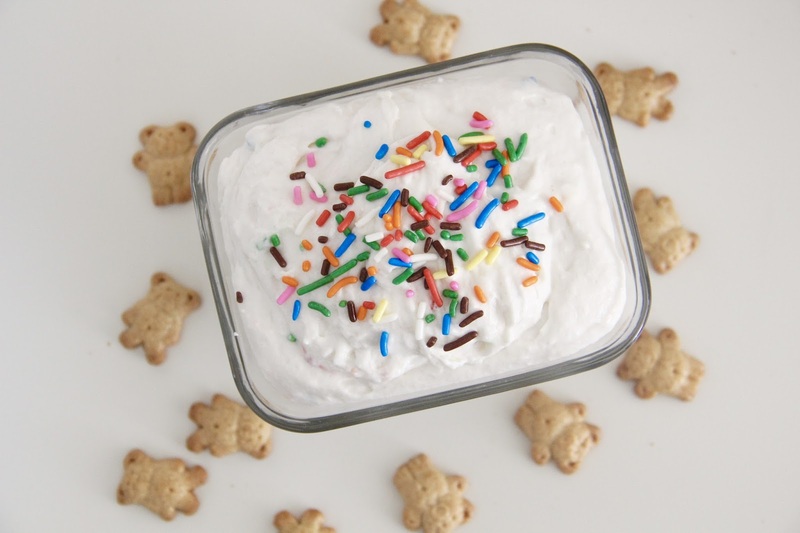 So not only does this dip bring back childhood memories, it's super easy to whip together and it's a crowd pleaser! Enjoy!